There is a lot to be said for mental barriers or the belief that you can break through them. It seems like only yesterday that I thought I’d take forever to break the 30-minute barrier for 5km, yet almost as soon as I did (and only just), I was able to break the 28-minute mark a week later. Last week I registered a personal best of 26:24, I knew that the next chance that I had to put in a solid 5km, I should be able to give a sub-26 time a good nudge; as it turns out, I did - and more. It was a solid week of training and having my partner there was a great boost. Tuesday consisted of a gentle 5km run in which I incorporated a few hills. Wednesday was speed work, six 400m interval runs. Victoria Park was perfect for these with around three-quarters of a lap being 400 metres. I was happy with the way they went, I really enjoy interval work. Thursday was another 5km easy run with a rest day Friday before I would tackle Albert Parkrun again. Having finished around the mid-26-minute mark, I was keen to see if I could break 26 this week. I had felt the week earlier that I probably had the ability to produce a little bit better cruising speed. The fact that I had run the course before was also a big help, not so much in the intricacies of the layout, that was simple, but more so in negotiating the crowd. After being caught on the outside a week earlier and running all over the shop, I decided to stick to the inside and try and get a rhythm up earlier. The plan seemed to work. I zipped through the first two kilometres in 10:09. I knew that, if I could keep it going through the next two kilometres, I would easily break the 26-minute mark. My third kilometre was 5:06, my fourth 5:11. My head was now saying that, if I flashed home, i might give the 25-minute mark a nudge. It was too much of an opportunity to at least not have a go at it. I knew I’d need around a 4:30 last kilometre. Tough? Yes, but not impossible. I usually reserved my run home to around 500 metres, I attempted to push hard for the full kilometre. It was taxing and I fell just short. I was ecstatic with the fact that I had put myself within striking distance. I’d run my last kilometre in 4:47 for an overall of 25:14. To be just outside a goal that, less than a month earlier, I had given myself a year to achieve, had surprised even me. My partner also ran a new best, so it was a good day all round. 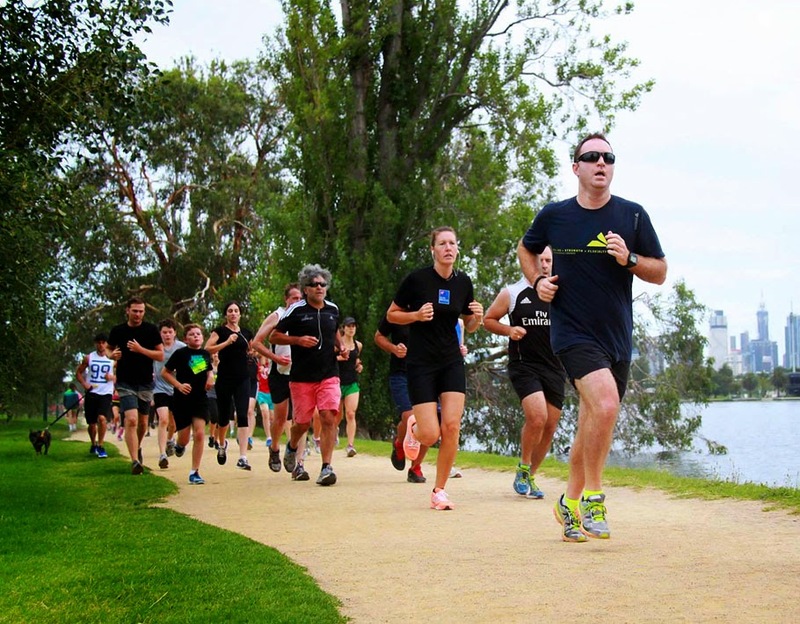 We backed up the following day for a charity run in the same precinct know as FunRun Pink. The 5km course was a little longer than advertised and I was no chance of me reproducing the efforts of a day earlier. I was still more than pleased with a 27:51 for 5.2km and it was a lot of fun too. It was a good end to another solid week and there was definitely good progress being made, even if it did hurt at times! The totals for the week were 29.6km in three hours and one minute, with an elevation of 143 metres. 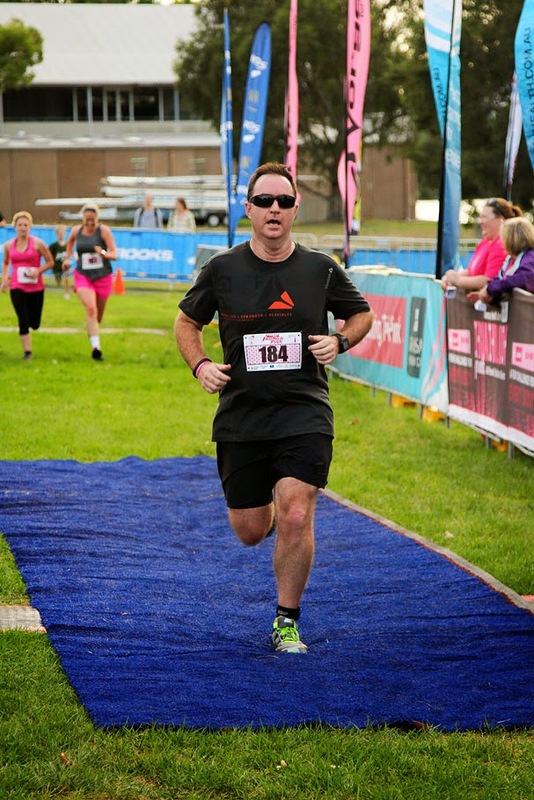 The trip to Melbourne definitely did wonders for your running! It was definitely a good time for improvement. Hopefully that continues back up here!